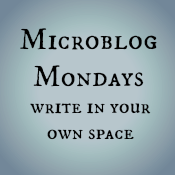 No Kidding in NZ: #MicroblogMondays: It's over! My first reaction was a rude word, as I remembered my own pain, and thought of all the people I know, and all those I don’t, who are going through pain right now because of infertility. Of course, I am living with the results of infertility, and I always will – and that means that there are times I will feel sad or regretful about what never was. But for me, happily, infertility is over, and no longer has day-to-day power over me. Discovering that I feel this way was liberating - I felt a burden had lifted, and stood taller, straighter, stronger - as it means I have done the grieving, endured the growth pains, and moved through healing to a good place. With the will to grow and to embrace our lives, I think this is the inevitable destination for all of us on this journey. Arriving at “over,” all we have to do now is just live. For me, infertility is a medical condition, and I have not and cannot be "cured." It's a part of me and who I am, and always will be. It may not be life-threatening (as some like to point out) but it is not life-enhancing. But I'll agree that it doesn't have the power over me that it once did. I still have bad days now & then when I curse infertility for what it did (& did not do) to me & my life -- but for the most part, I have made my peace with it. I think maybe we're both saying the same - that we've made our peace with it. Though you've got me thinking about the intricacies of this. I love this. Infertility isn't over for me, but I do know that time will take care of that for good, and my mind will have to catch up. 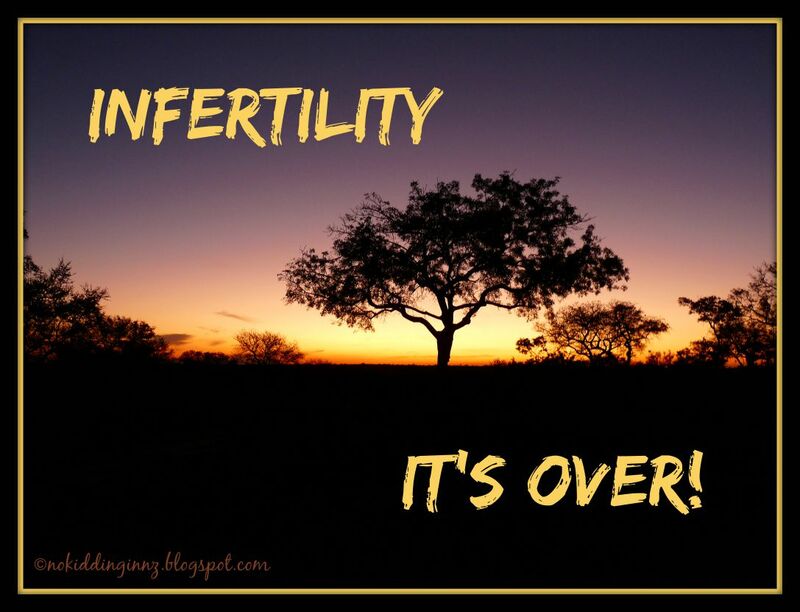 How I love this sentence, "The infertility is over." I can not wait until I will be able to say this sentence could be mine. This is such an interesting point. I think we want to know if an experience is one thing or another so we can get a handle on it. But once you add in the factor of time, it can be -- over time -- both devastating and resolvable, neither one, one or the other in flux, and eventually resolving. I'm so glad you followed up with your comment with this post. I have my own thoughts where I plan on weaving in the feedback I got from this micropost, but you're adding an element that is absolutely important for resolving. Making peace. So liberating. Congratulations. I love this. It's hugely reassuring to hear you say that infertility eventually does come to a point where it doesn't have the day-to-day power to cause pain and wound. Not there yet, but I'm keeping this one bookmarked because it's a wonderful reminder that this day will come.